I remember the first time I saw this beautiful little goose. 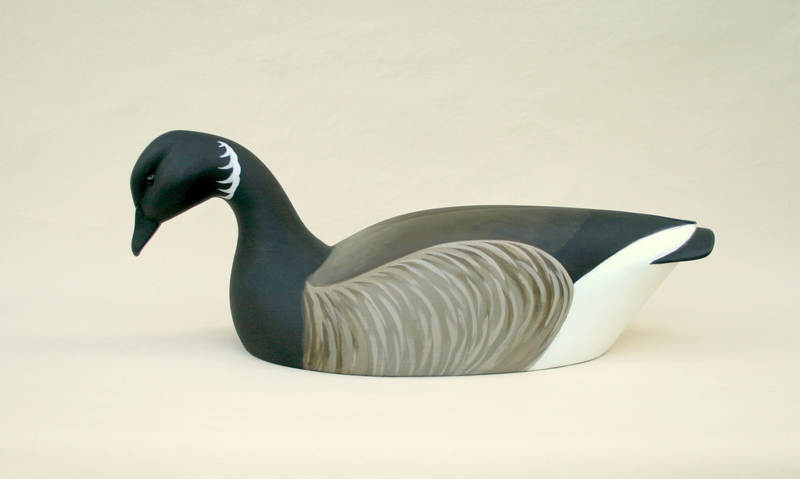 When I started hunting – tagging along with my Dad in the late 50’s and actually carrying a loaded gun in the mid-60s, I never saw a live Brant. I knew about them of course. One of my earliest games was to don my Dad’s black “police” socks and his silver-grey insulated jacket and fly around and land in our living room. 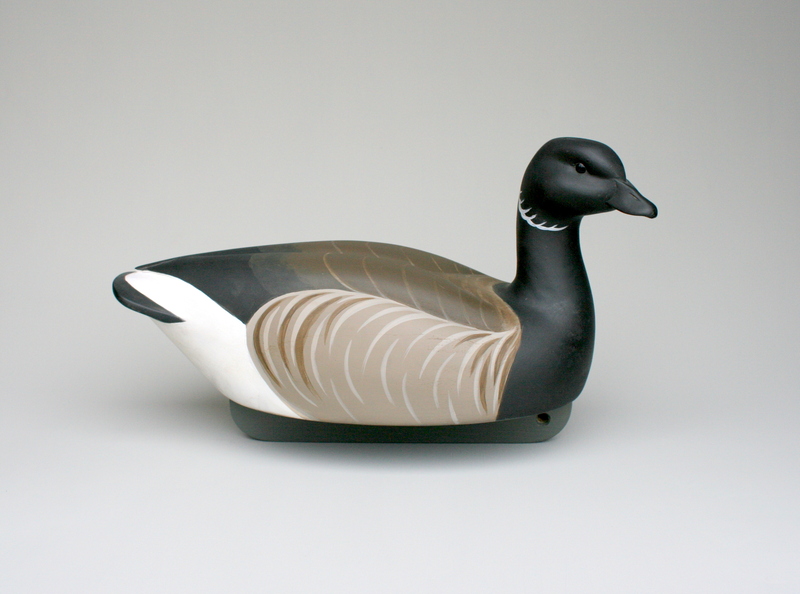 Because of my black legs and feet, my Dad assured me I looked exactly like a Brant. Nevertheless, Brant seldom spent any time on the mainland side of Great South Bay. But when I did meet this grand bird, the floodgates opened. I took my first bird on a Friday, east of Jones Beach along Reynolds Channel. We joined some friends on Saturday and Sunday along Snakehill Channel. 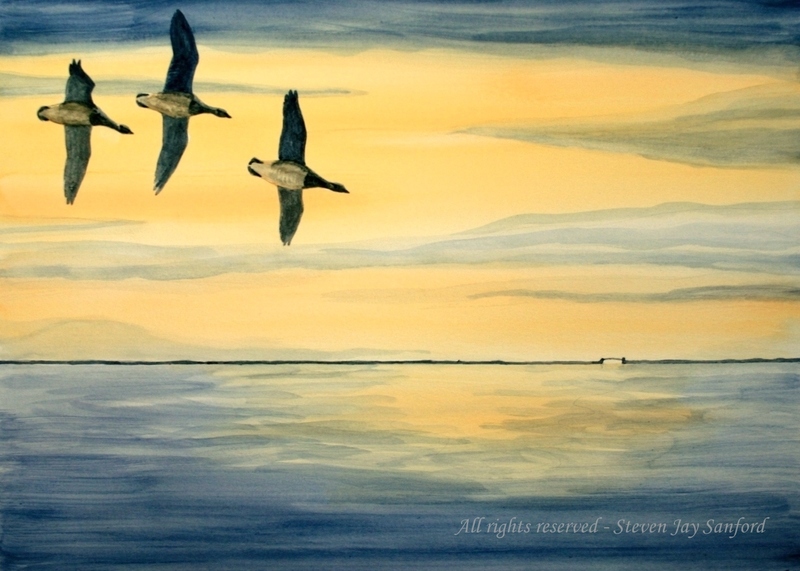 The flocks ghosted out of the fog as the tide fell – their rolling calls letting us know they were on their way. 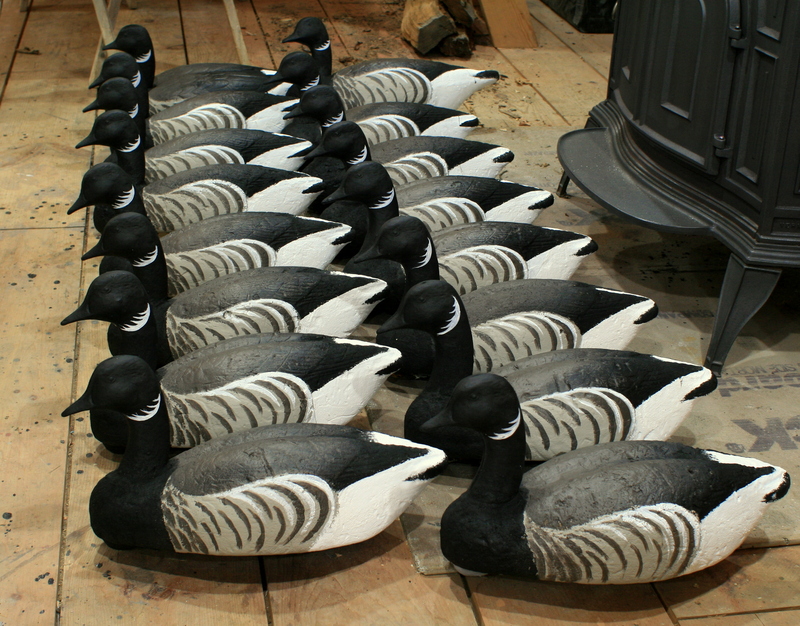 The lead bird would cup up over the first decoy and the rest would pivot around and settle in with that wonderful, all abreast, snap-the-whip way of Brant. I have never tired of this choreography over the many decades since. It must have made an impression at the time. 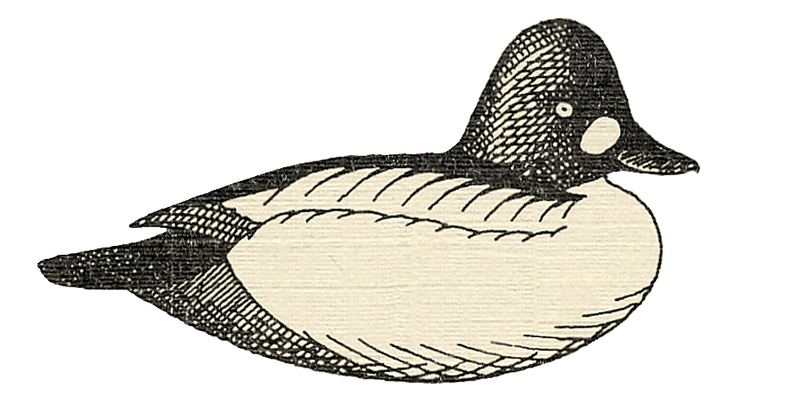 I wrote about this bird for my Tenth Grade English class – and my account of shooting Brant on Great South Bay was selected for their annual anthology. 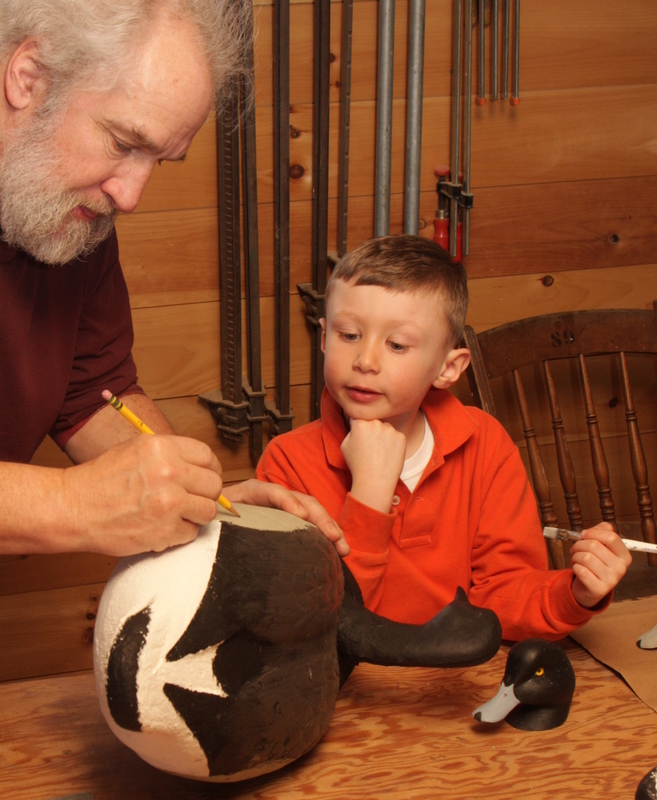 Later, as a Wildlife Biologist, I worked a lot with Brant. Staff from DEC’s Stony Brook office developed the methods for efficiently capturing – with a rocket net – wintering Brant. We banded several thousand in the early 80s. Also, I got to band them on their Arctic breeding grounds – on Baffin Island – in 1984. 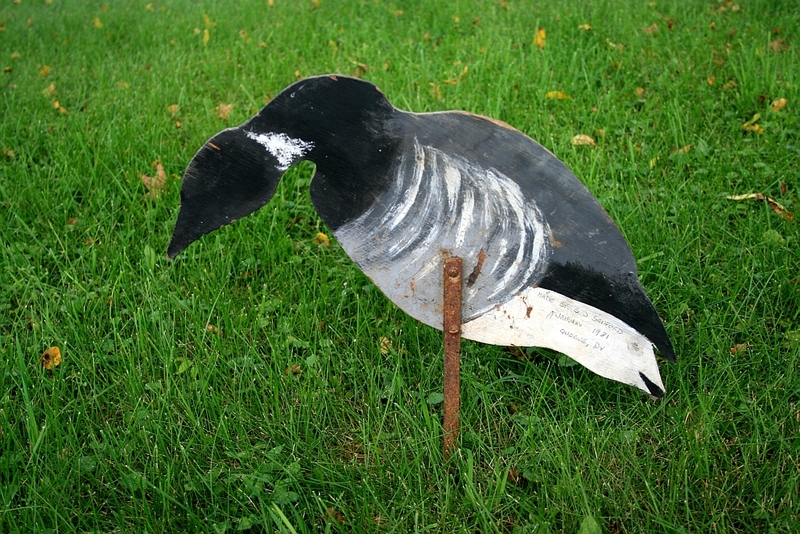 I made 28 of these silhouettes in 1981 to lure feeding Brant within range of a rocket net. 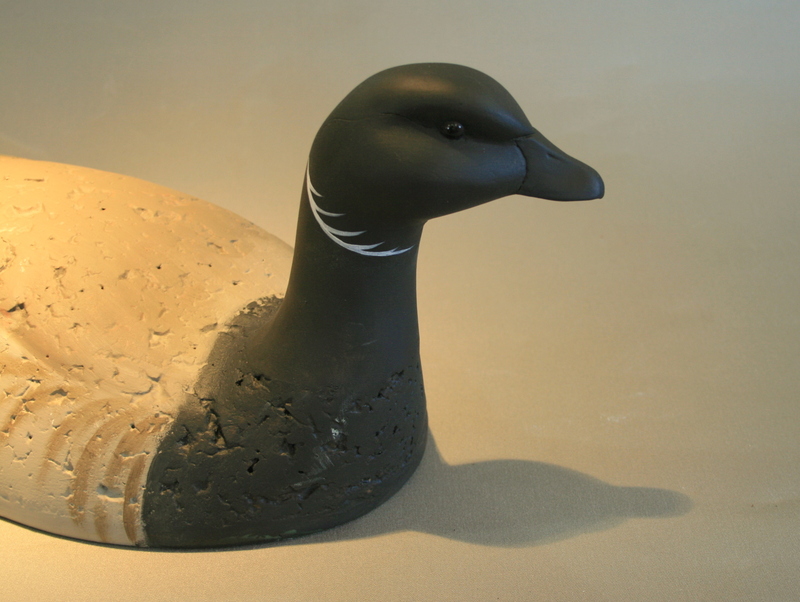 This hollow pine Brant has the Highhead pose. Brant feed on the falling tide and so the gunner most often observes them in active, swimming and tipping pursuit of eelgrass (Zostera marina) or – very unfortunately – sea lettuce (Ulva lactuca). The latter is known simply as “cabbage” and can render this bird’s flesh hard to eat – or at least in need of a powerful marinade. This Swimmer posture is the one I think of when I think of Brant – leaning forward against the ebbing current. One could do worse than carving an entire rig as Swimmers. The body on the Swimmer is black cork – aka refrigerator cork from back in the day. It was one of the last pieces I had bought in the 70s from National Cork in Keyport, New Jersey. This Feeder is another very characteristic pose. Such postures look great on the water but the tip of the bill can easily ice up during the late season. I rehabed this rig (actually this photo has only half the rig) for a good friend. 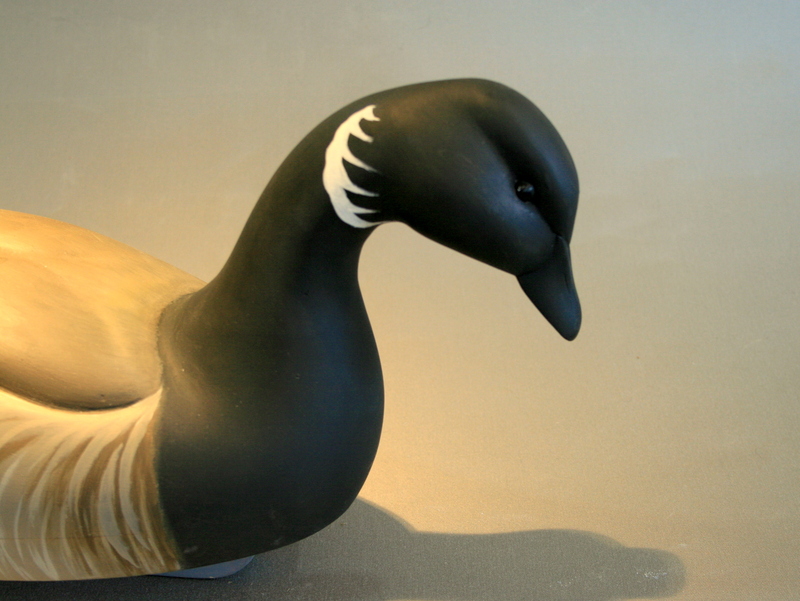 They are mostly Herters Model 81 Brant – with a few that have the larger Goose bodies. 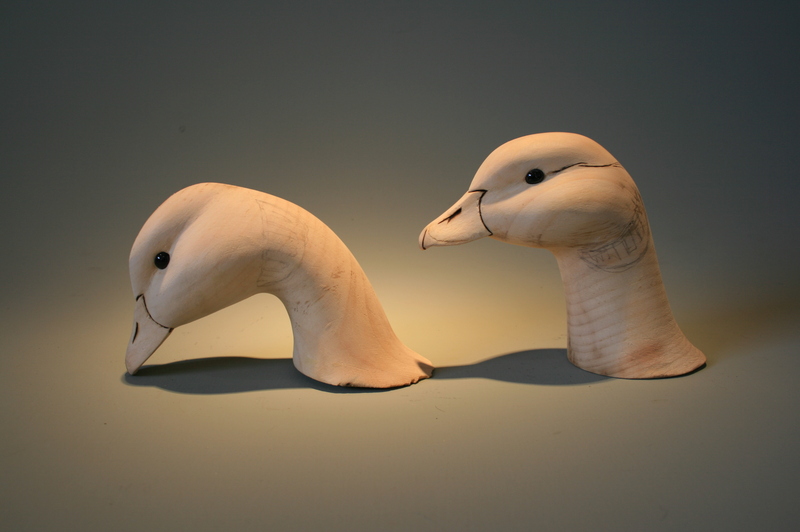 I refastened most of the heads because the eye screw pulls up through the soft styrofoam body with long use. The breasts were given a coat of thickened epoxy and sawdust to protect against the inevitable chafing from anchors. They got fresh paint – with some expert help – and all new lines of tarred, braided nylon. 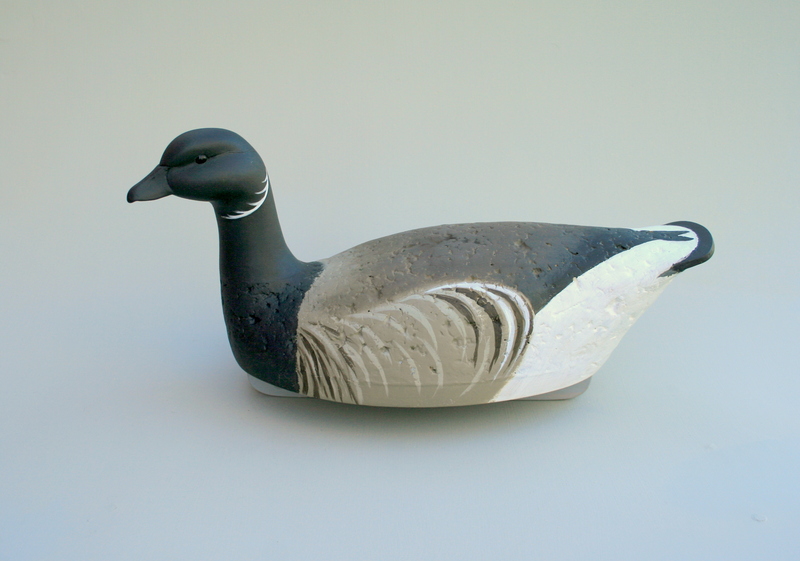 Nowadays – they changed their habits during the hard freezes of the mid-70s – we commonly see Brant on the mainland side of Great South Bayt, too.